Based on the analysis of your application by filling out the registration form, 8+ finalists will participate in JS Boot Camp. JS Boot Camp will be conducted during the evening time. All finalists will be granted with diplomas after successful completion. 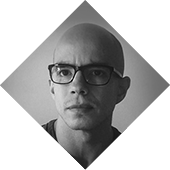 Pedro is a Software Engineer with over 10 years of experience in web development. 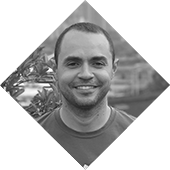 Pedro loves to solve complex problems, design architectures and with his skill to lead a team and manage projects, he has been responsible for successfully building web applications. 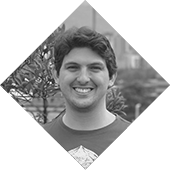 His coding experience is focused, but not limited, to Ruby on Rails, Node JS, React and Docker. He has had the chance to work as Teacher at a few universities for several years University. 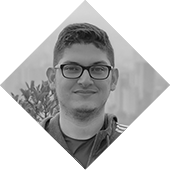 Technology entusiast, fast learner, relentless problem solver, strong backend developer and CSS hater, these are few of the many characteristic that Damir showcases on his daily basis and over his 10 years of profesional career in IT. Damir has worked in several start ups and well stablished companies nationally and internationally driving from non relational data bases, structured wiring networking and going through SPAs and distribuited systems. Despite of his vast expecience he consideres himself a "Jack of all trades, master of none". My journey on this path has last more than 14 years since dealing with crazy browsers issues, amazing revolutionary browsers plugins as Flash until responsive applications with Angular and modern JS frameworks, libraries and standards. I believe firmly in Internet power, access to knowledge and sharing. In this Bootcamp, I wanna share my passion by CSS technology and all Front End related technologies and help others on their journeys as digital dream makers. 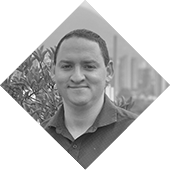 David is a Systems Engineer from Universidad de Los Andes in Venezuela, he has 6 years of experience working in Web Development applied to desktop and mobile applications. 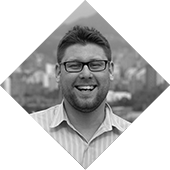 One of his biggest passions is learning new skills and sharing his knowledge and experience with others. All seats are filled and the registration is currently closed.